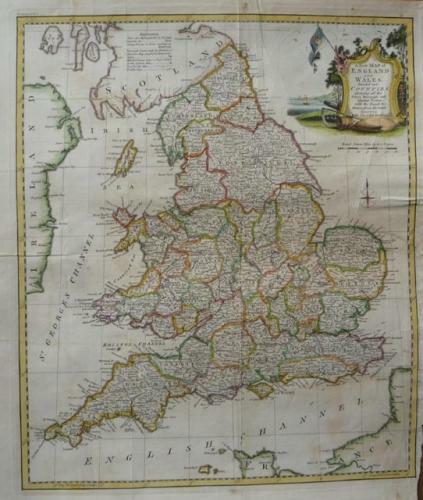 A hand coloured map of England and Wales with an ornamental title cartouche. Kitchin has included a large amount of detail on this large map. The roads, shire boundaries and principal towns are all delineated. A closed tear has been repaired to the verso. Fair condition.